Beach life at its finest. 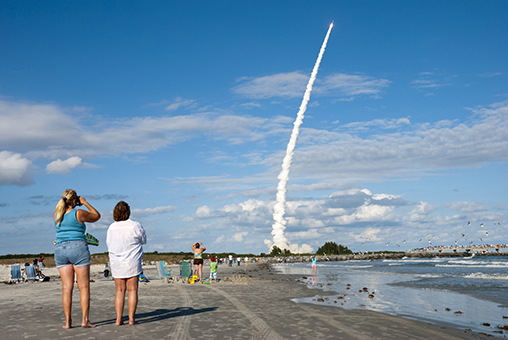 Located in the exact center of the area on the east coast of Florida known as the “Space Coast,” a vacation to Cocoa Beach could include watching a rocket launch, a day trip to Disney or Daytona, or getting up close to Florida’s native wildlife in nature preserves. Of course, there’s also plenty of sand, surf and sun to enjoy as well. Our highlights from Cocoa Beach include a day at the Kennedy Space Center, a boat tour in the Thousand Islands Conservation Area, dining throughout Cocoa Beach and more. We hope you enjoy our family-friendly suggestions for this fun beach town! Florida has much to offer vacationers, and Cocoa Beach is ideal for families looking for a beach experience and so much more. 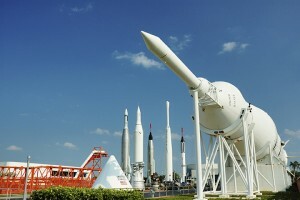 Located nearly in the exact center of the area known as the Space Coast, the 50 miles of coastline between Titusville and Palm Beach on the Atlantic Ocean, at Cocoa Beach you can watch rocket launches, take a day trip to Orlando’s theme parks or become one with nature in an unspoiled wildlife refuge. 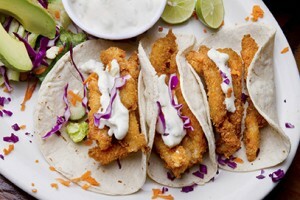 Like many beach-centric vacation destinations, there are plenty of restaurants in Cocoa beach where you’ll feel comfortable bringing the kids and choosing healthy and delicious options for them, while enjoying your own meal and a refreshing beverage with the sound of waves crashing in the background. Check out some of our favorite options for eating breakfast, lunch and dinner in Cocoa Beach. While lounging on the beach, splashing in the waves and making sandcastles is a wonderful way to spend the days at Cocoa Beach, there’s another side to this coastal gem that families love. 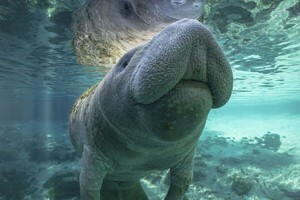 Inland from the Atlantic, the waters of the intracoastal waterway and the area’s rivers, inlets and lagoons are home to a wide variety of marine life such as fish, turtles, dolphins, manatees and many fascinating waterfowl. “I want to be an astronaut when I grow up!” is something young children around the world have said for decades. There’s something about space that ignites curiosity and wonder as we imagine being launched from the Earth’s atmosphere into the vast universe where worlds are waiting to be discovered. The Kennedy Space Center (KSC) in Cape Canaveral is the perfect experience for anyone who wants to explore space without leaving on a rocket ship.